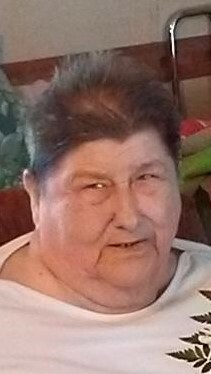 Mildred Pauline Long Bennett, age 80 of the Crusoe Community of Whiteville, went to her Heavenly home on Saturday, March 23, 2019 at New Hanover Regional Medical Center in Wilmington after a sudden illness. She was born February 24, 1939 to Shelton Long and Ocie Martha Duncan Long and the widow of Johnathan “Cap” L. Bennett. In addition to her parents and husband, she was preceded in death by two brothers, Norman Long and Jack Long. She was operator of Wash Tubs in Whiteville for 40 years. She is survived by three daughters, Levone “Dooley” Ward of Whiteville, Paula Bennett of Whiteville and Paulette B. Watts of Whiteville; a step-daughter, Charlotte Kay Bennett of Greenville, NC; grandchildren, Jonathan Watts, Amber Bennett, Sophia Patrick and Justin Watts; and two great-grandchildren, Kyleigh Patrick and Landon Patrick; and many nieces and nephews. A graveside service will be held at 1:00 p.m. Wednesday, March 27, 2019 at Chadbourn Memorial Cemetery with Reverend Kevin Strickland officiating. The family will receive friends from 6:00 p.m. until 8:00 p.m. on Tuesday at Worthington Funeral Home.